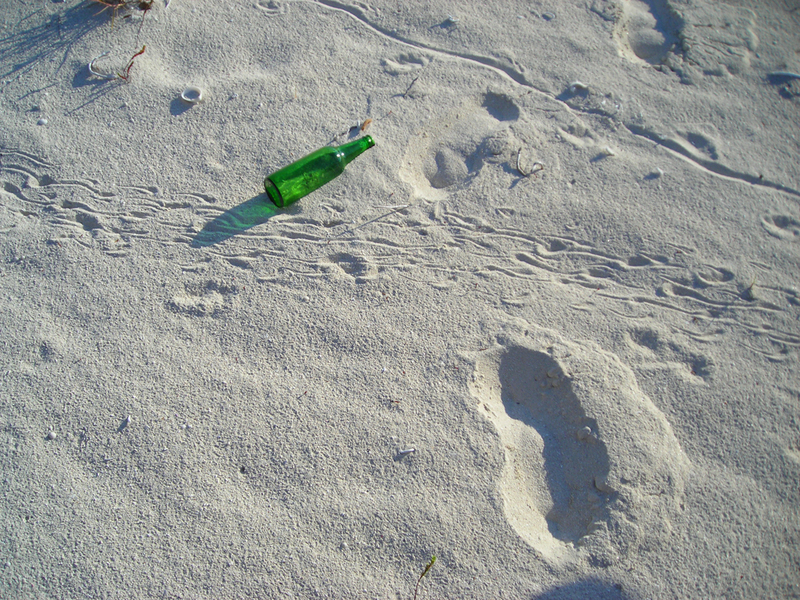 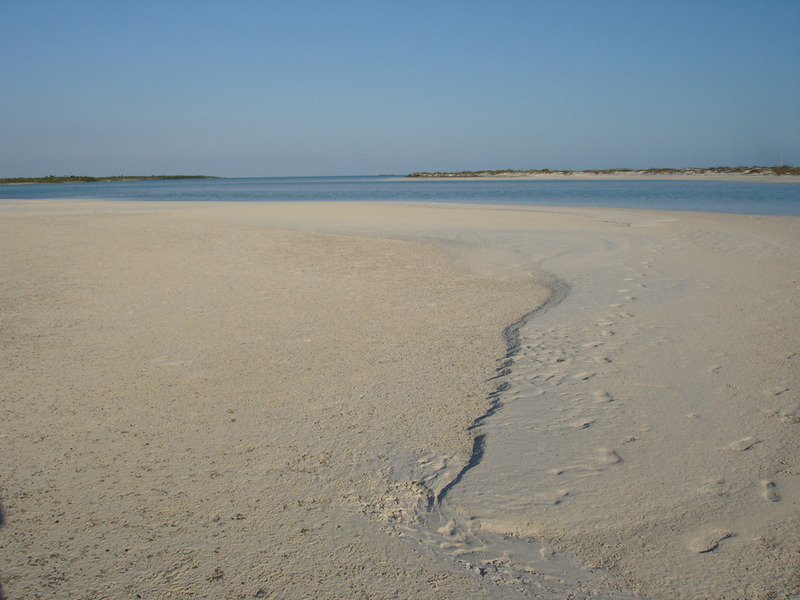 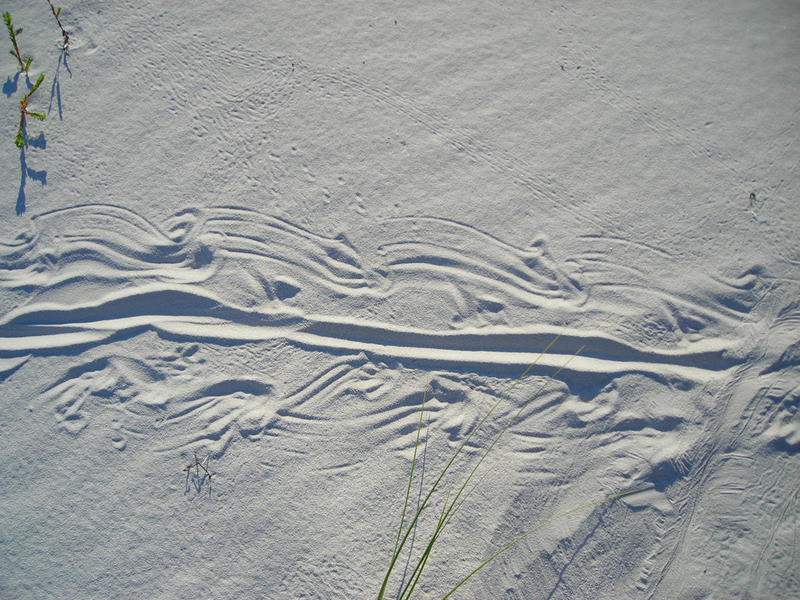 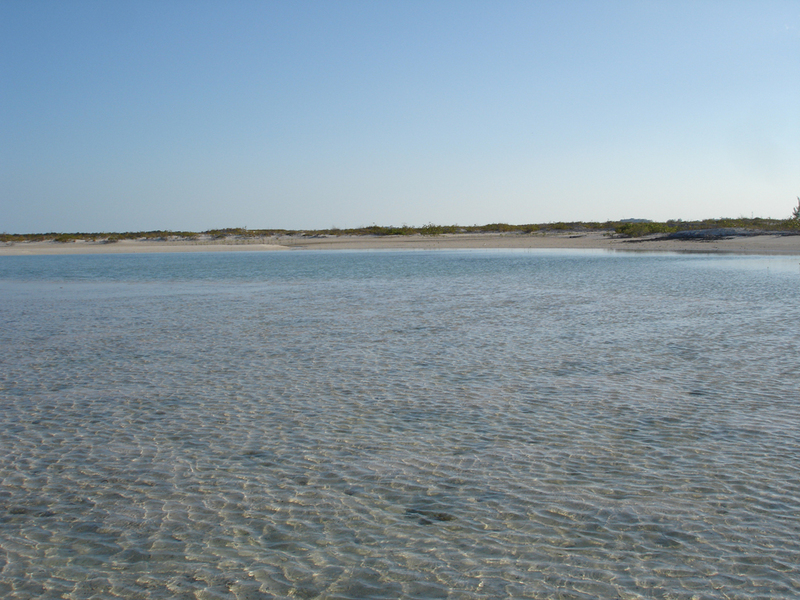 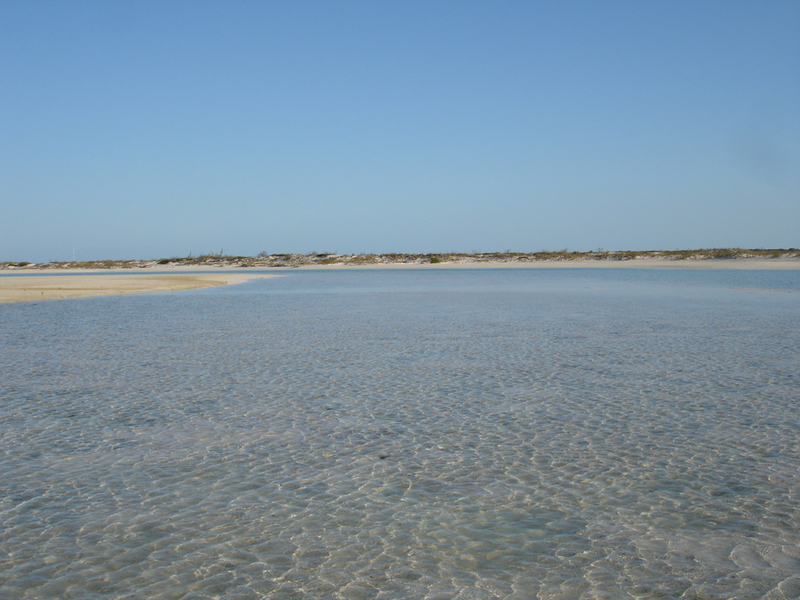 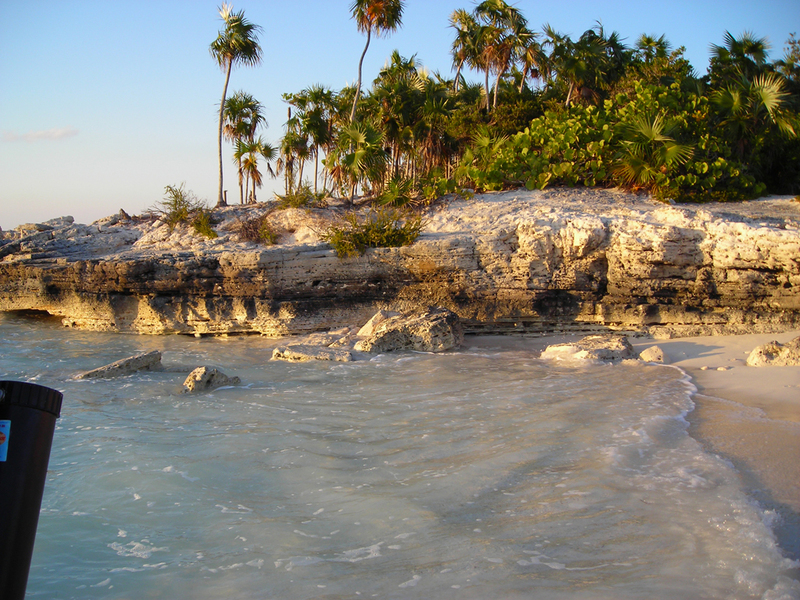 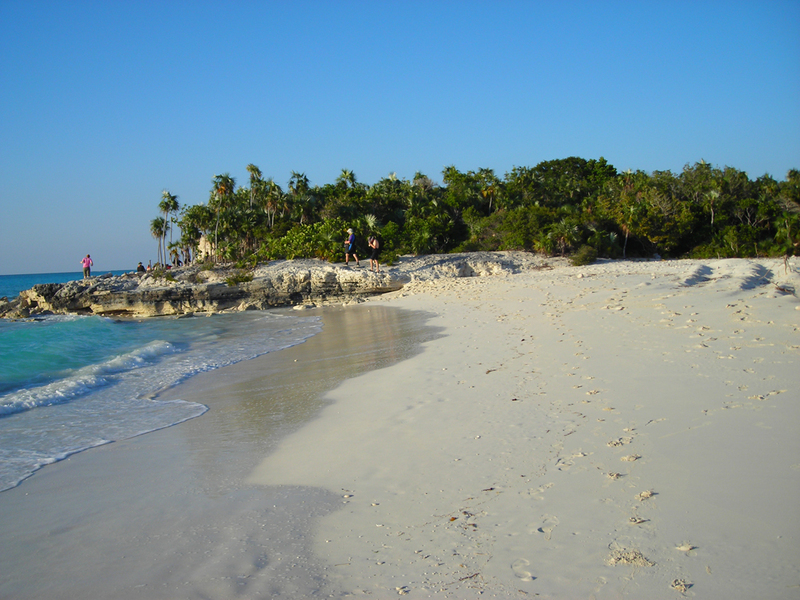 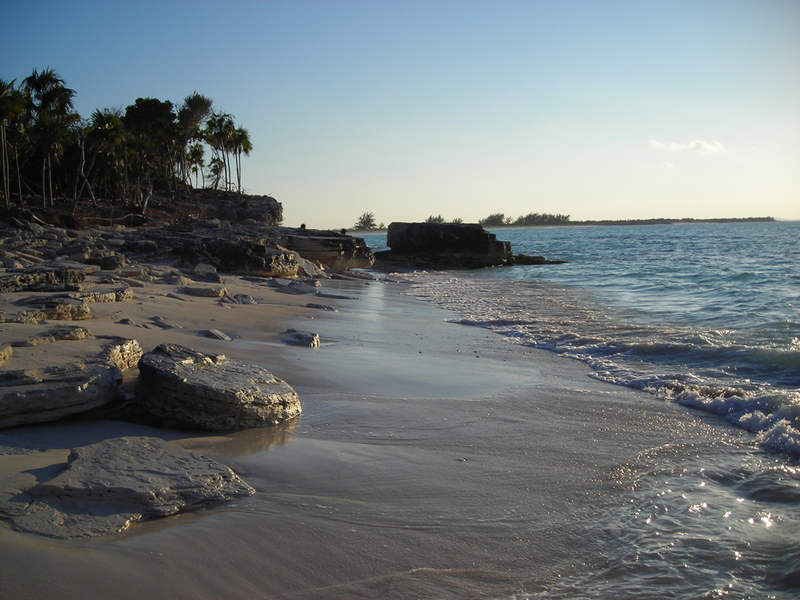 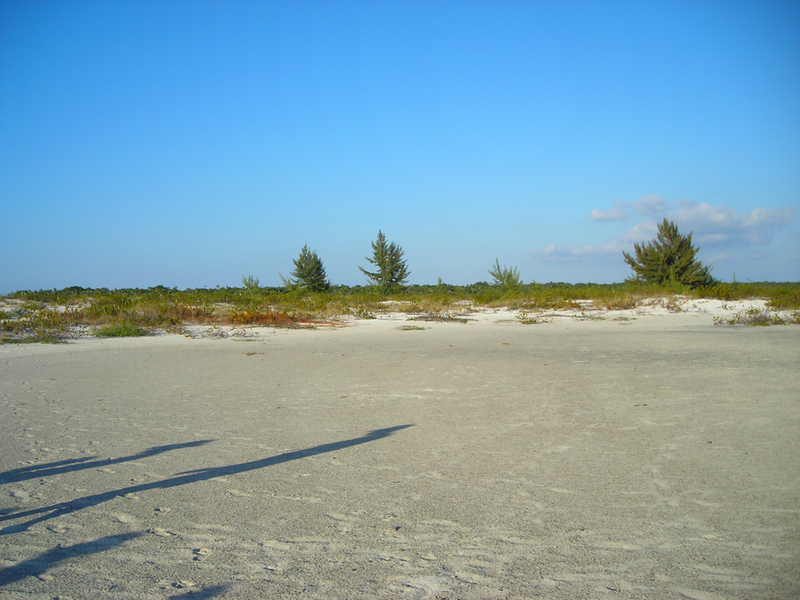 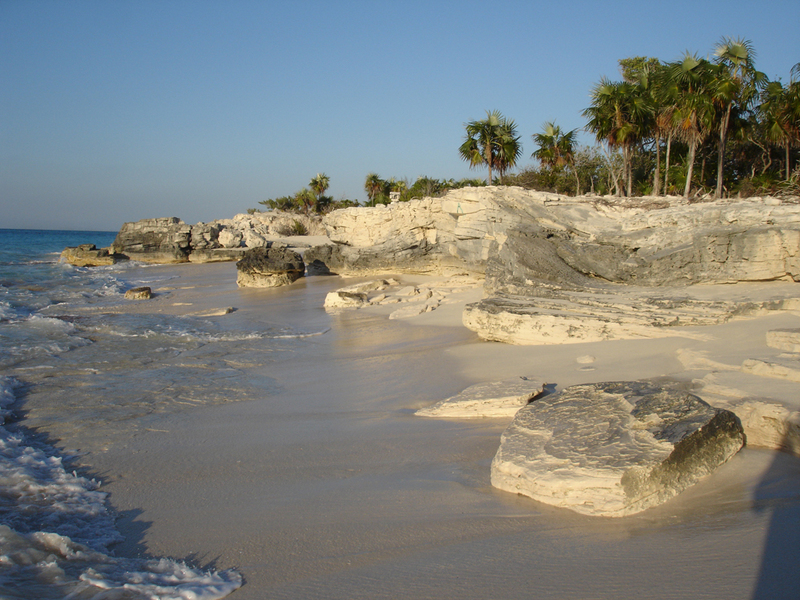 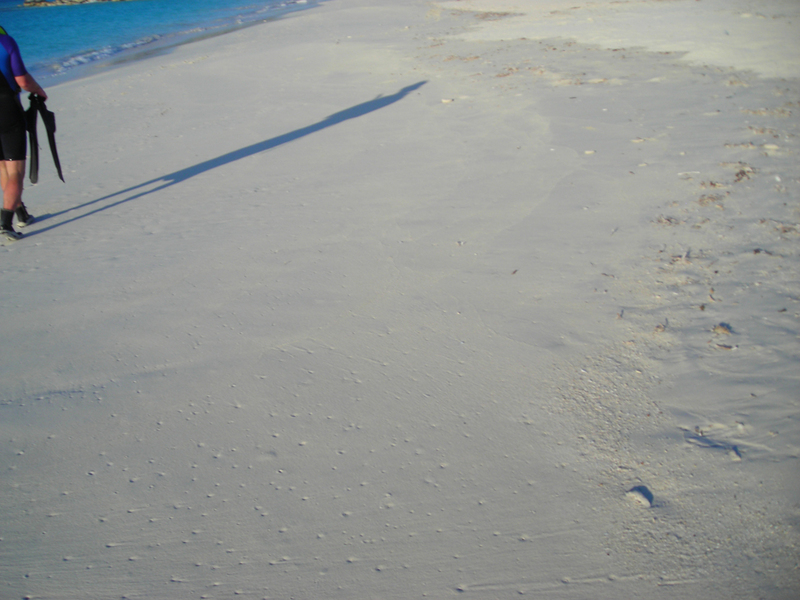 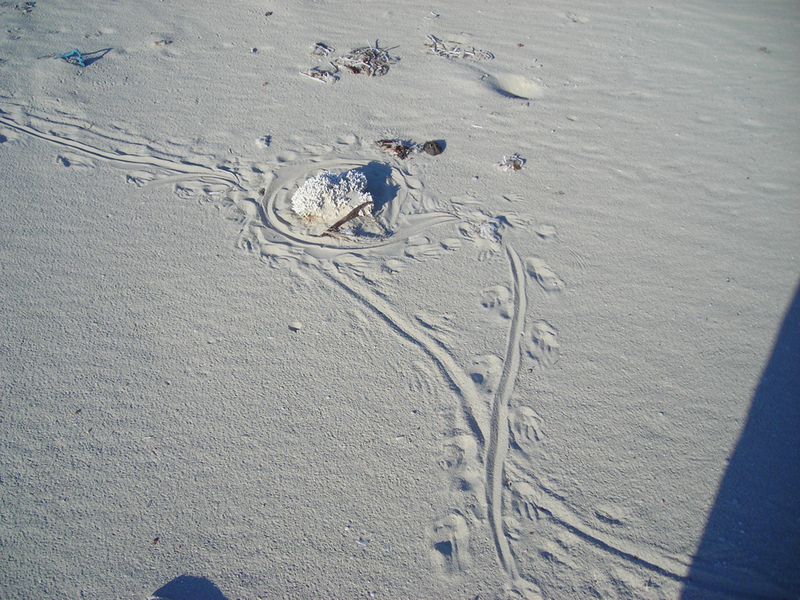 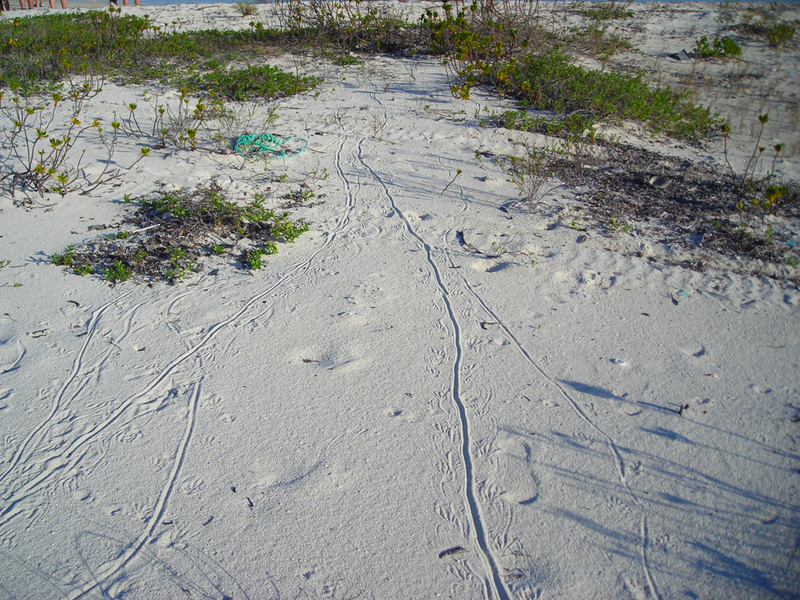 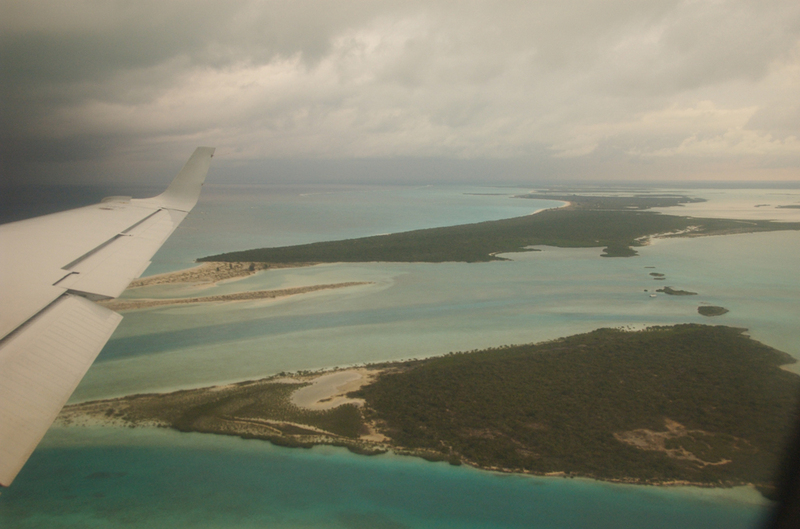 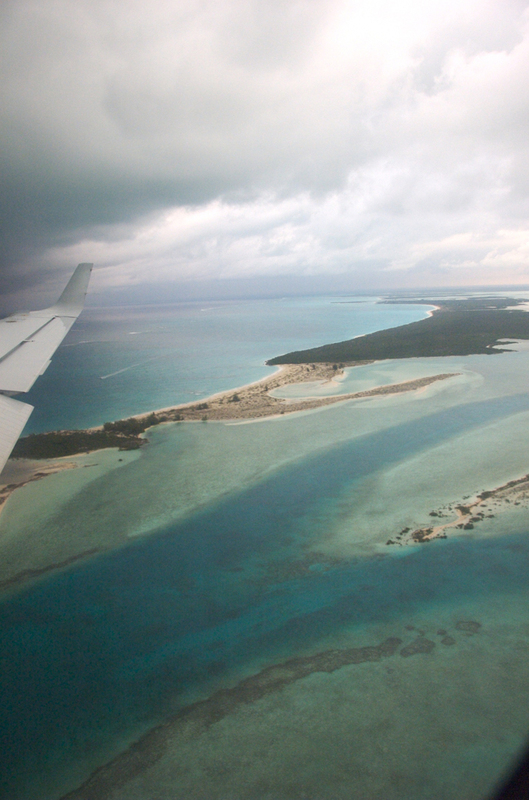 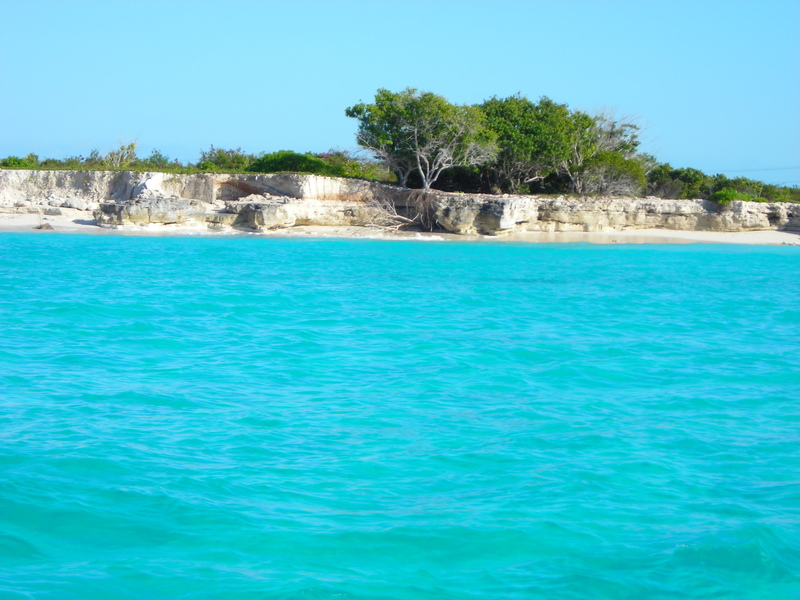 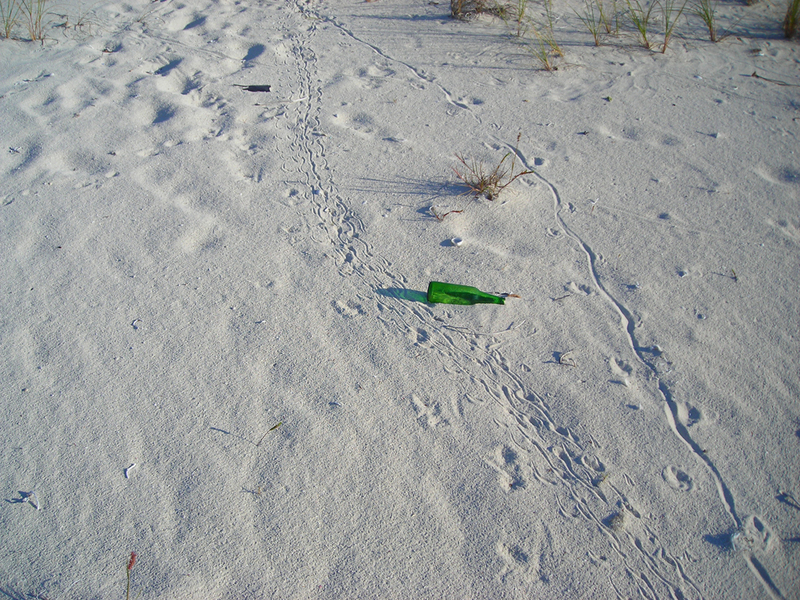 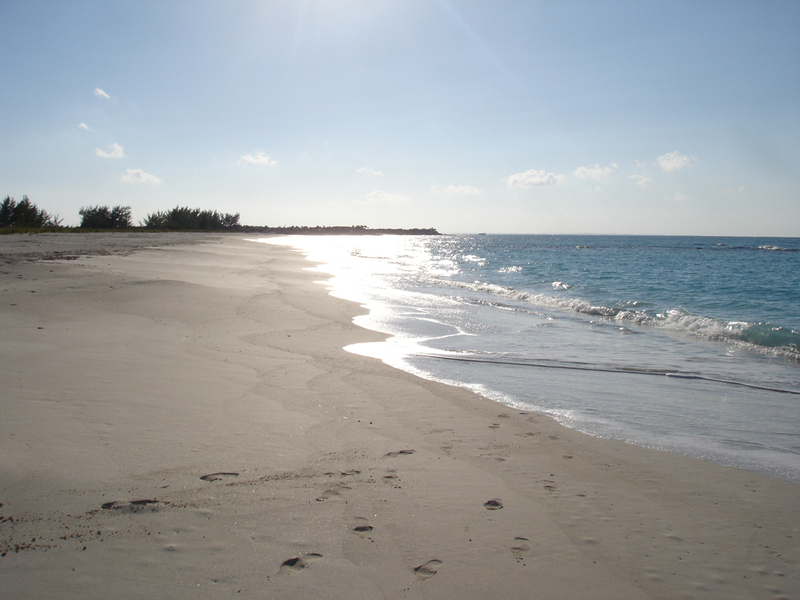 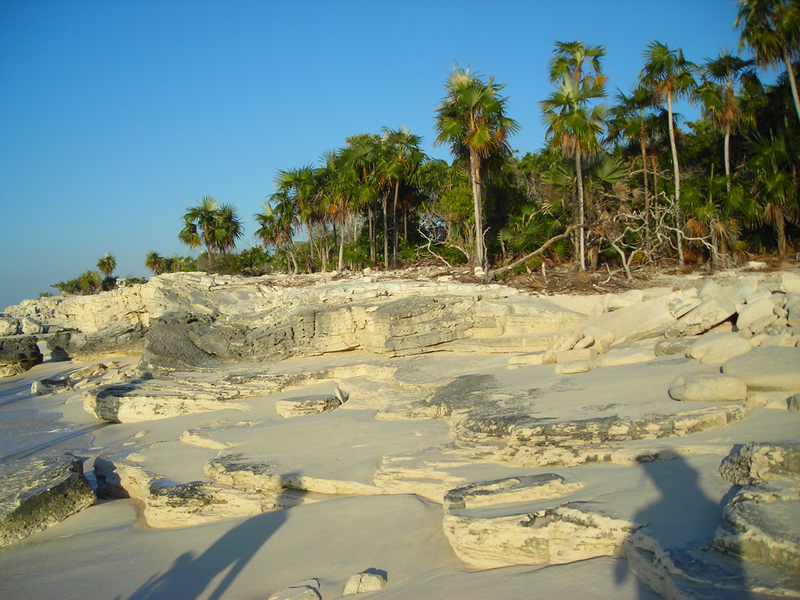 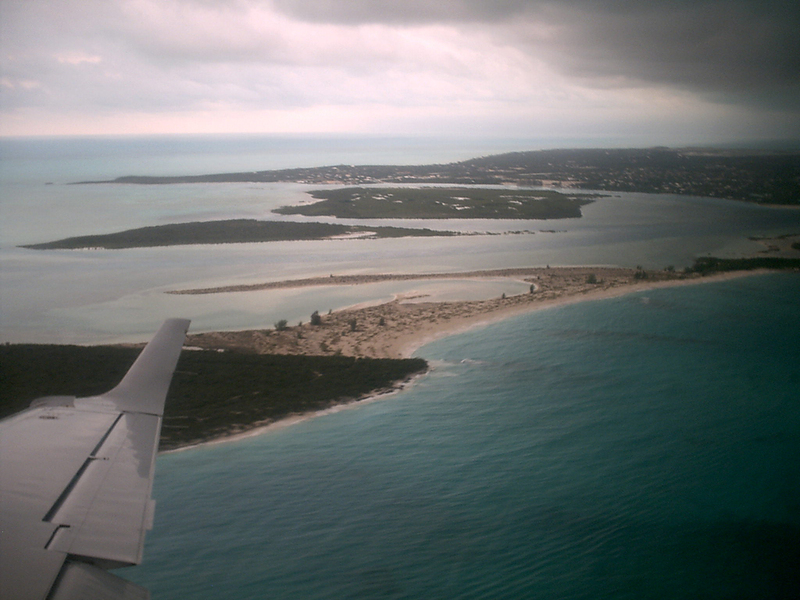 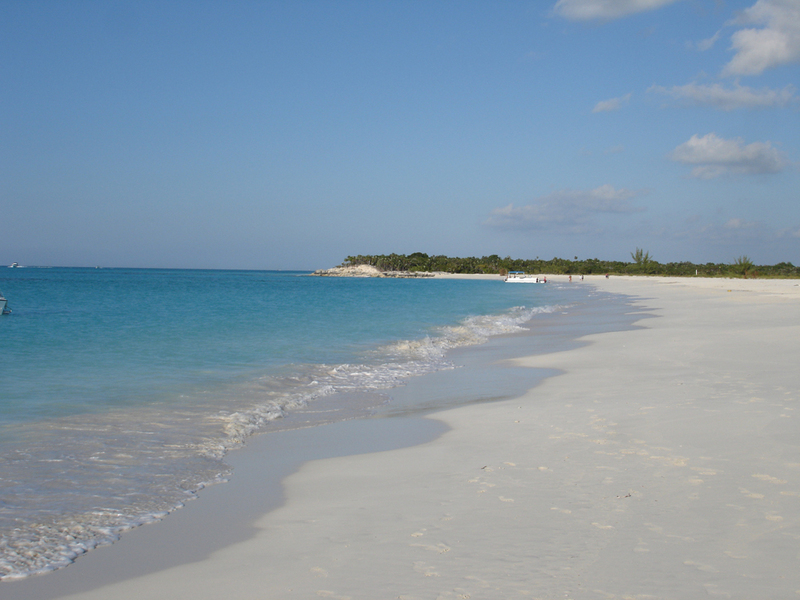 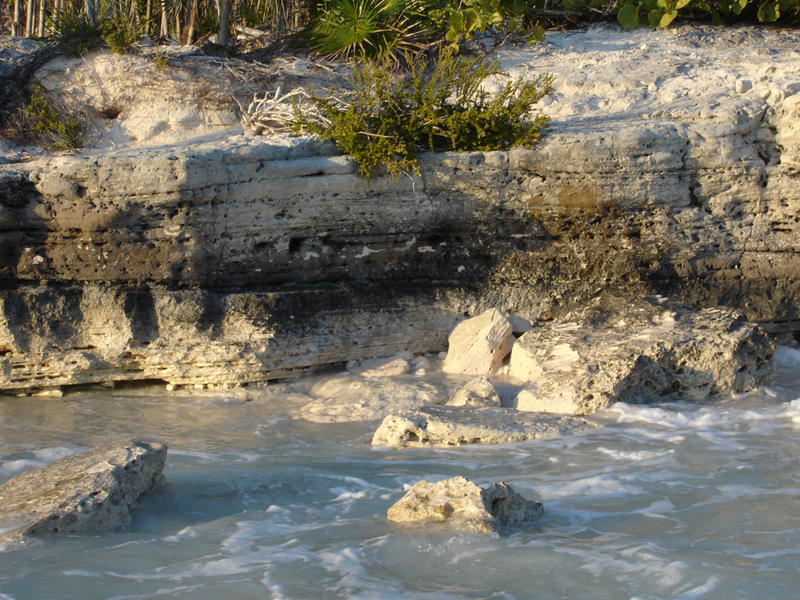 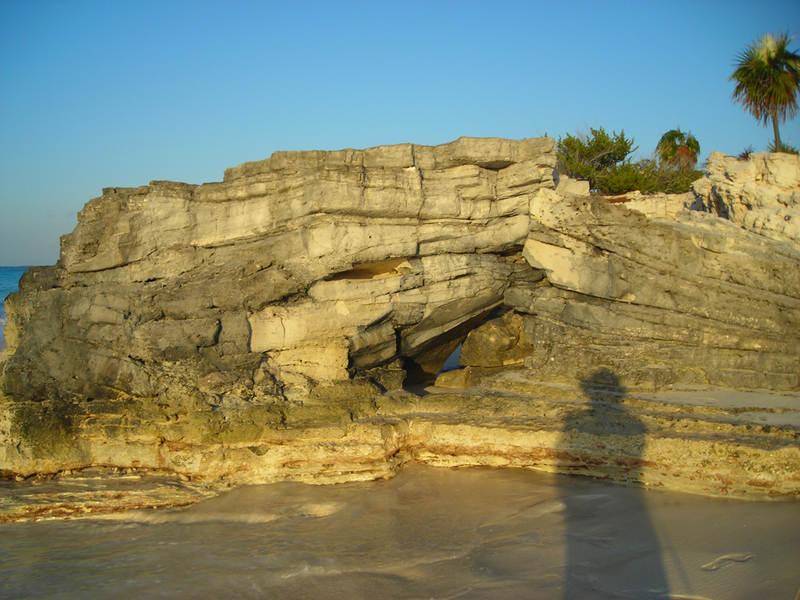 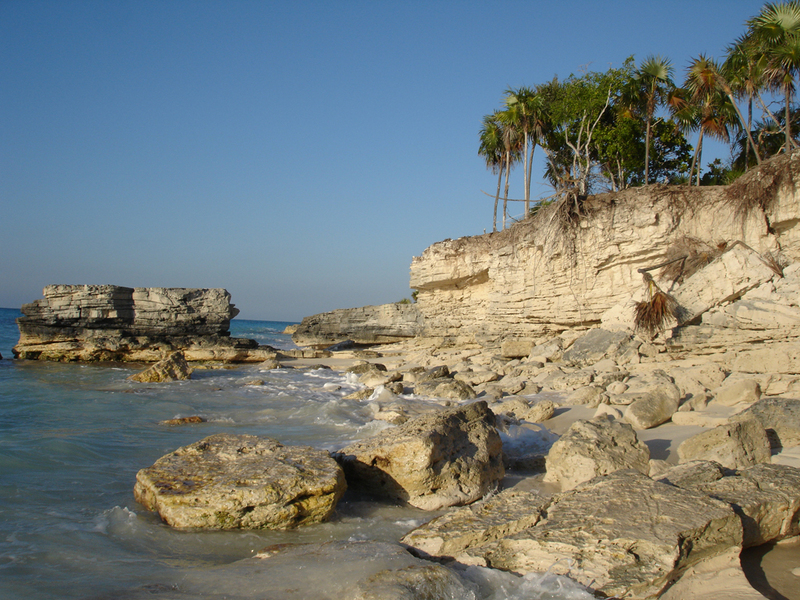 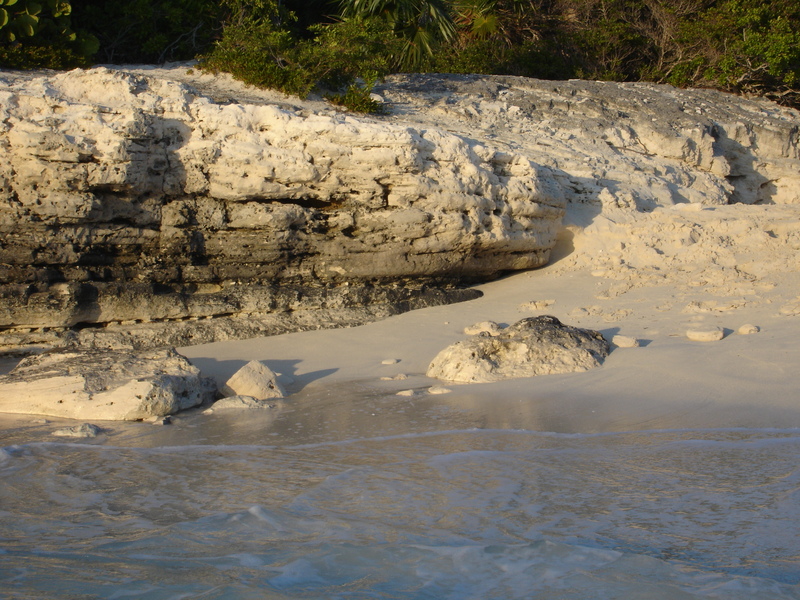 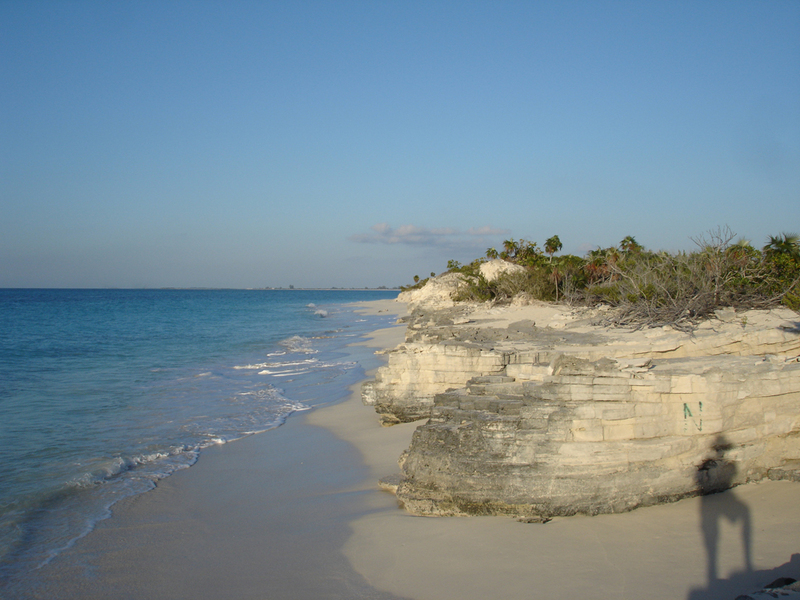 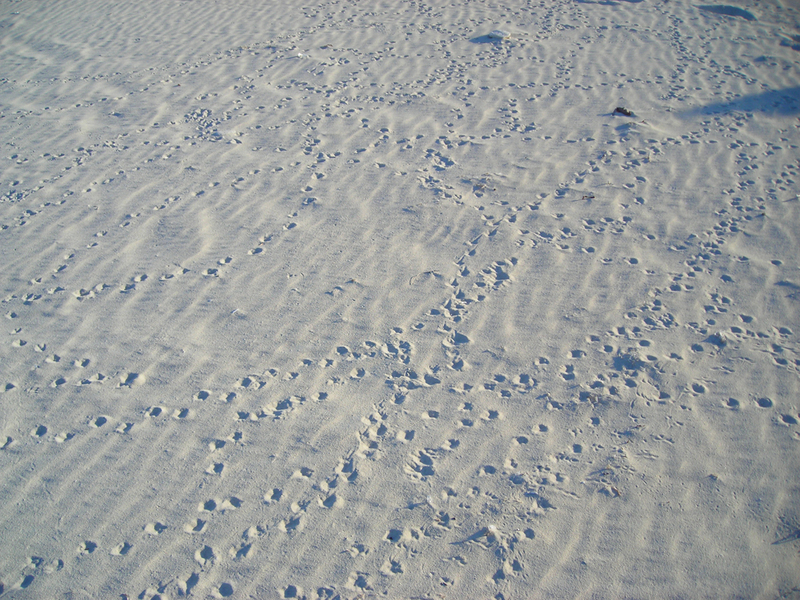 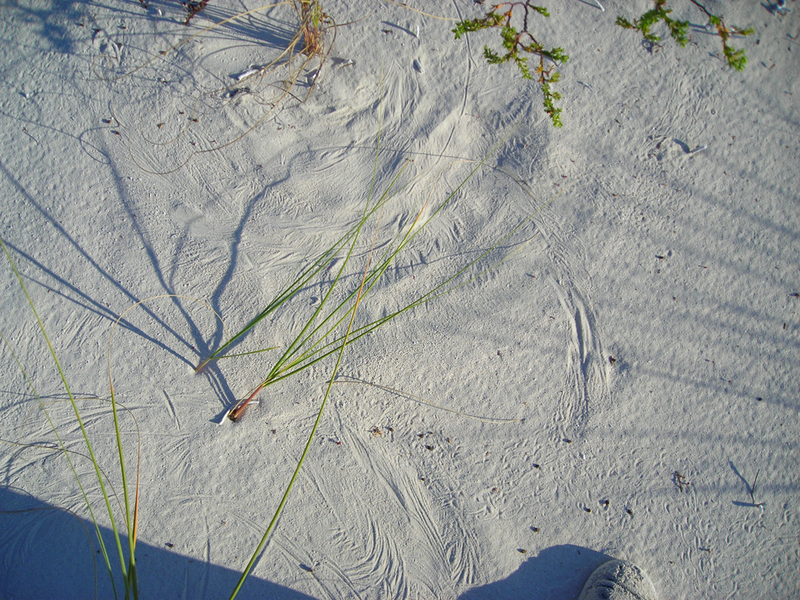 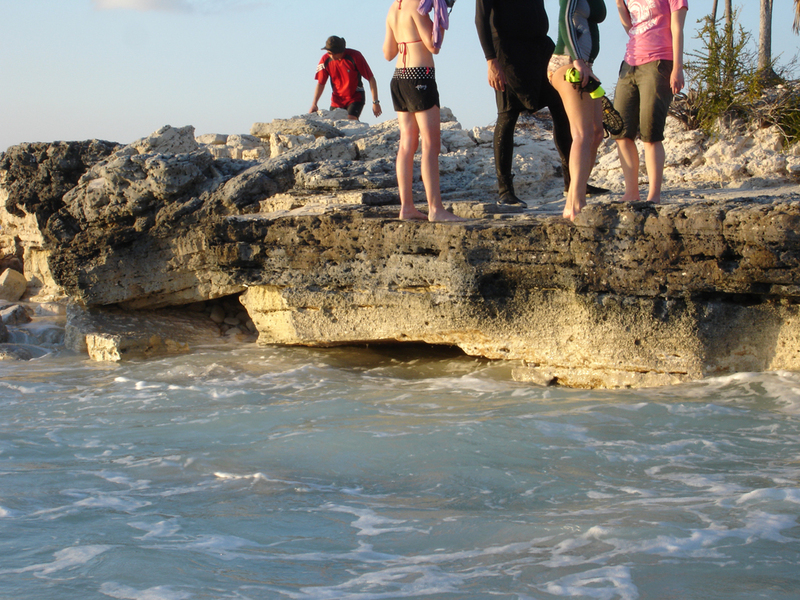 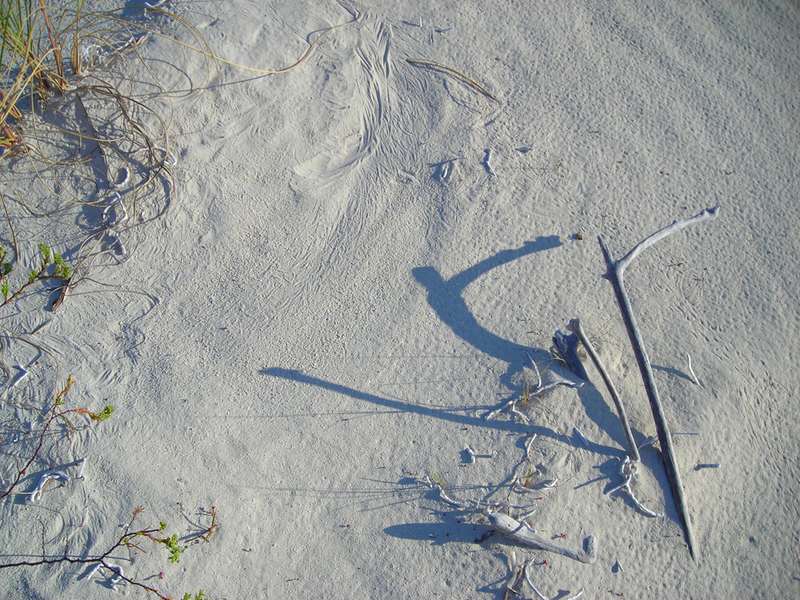 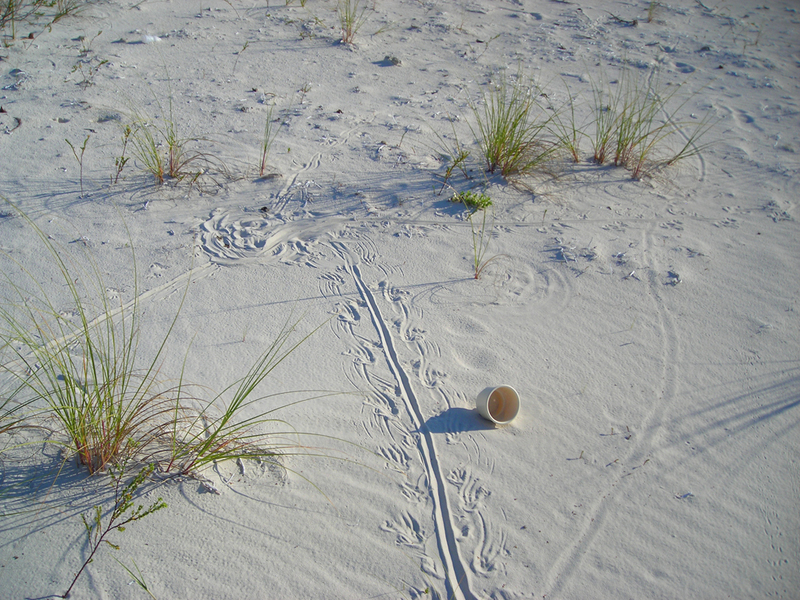 Little Water Cay, just north east of Providenciales, is described by Wanless and Dravis (1989) as an excellent place to examine the internal structure and evolution of low strandplain ridges. 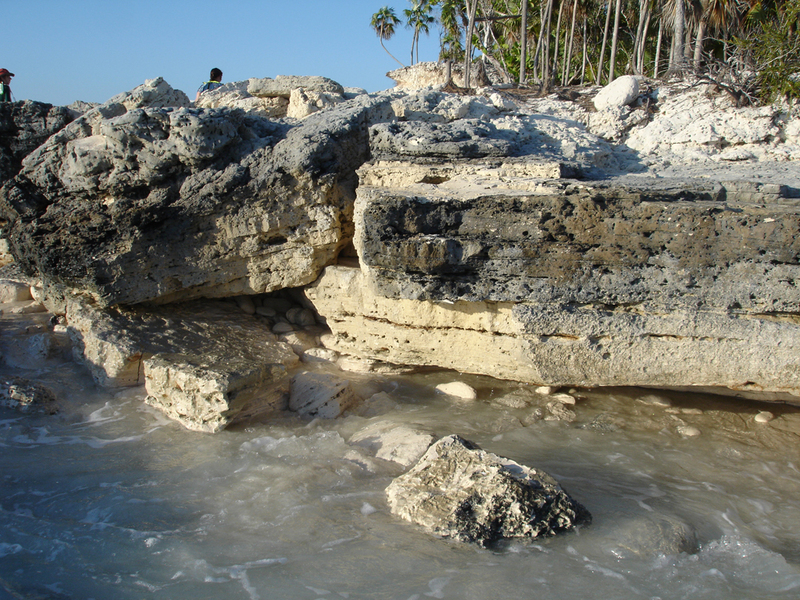 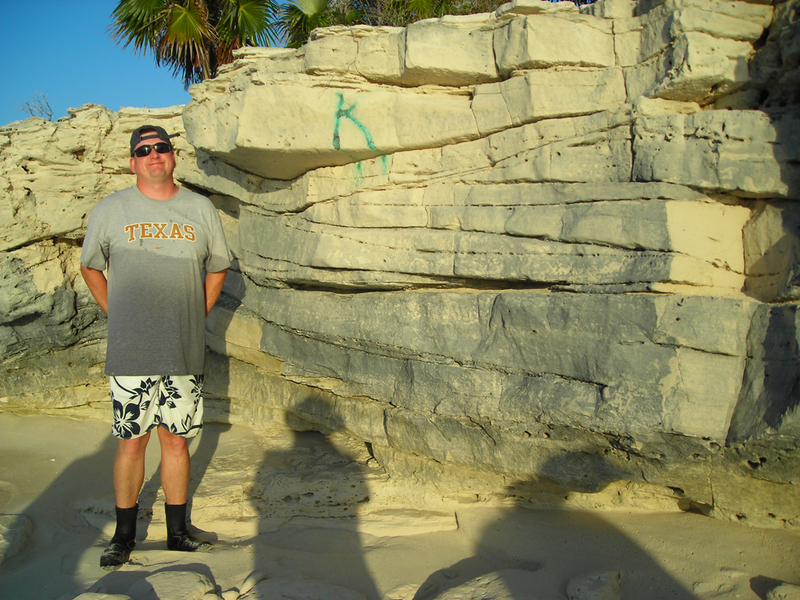 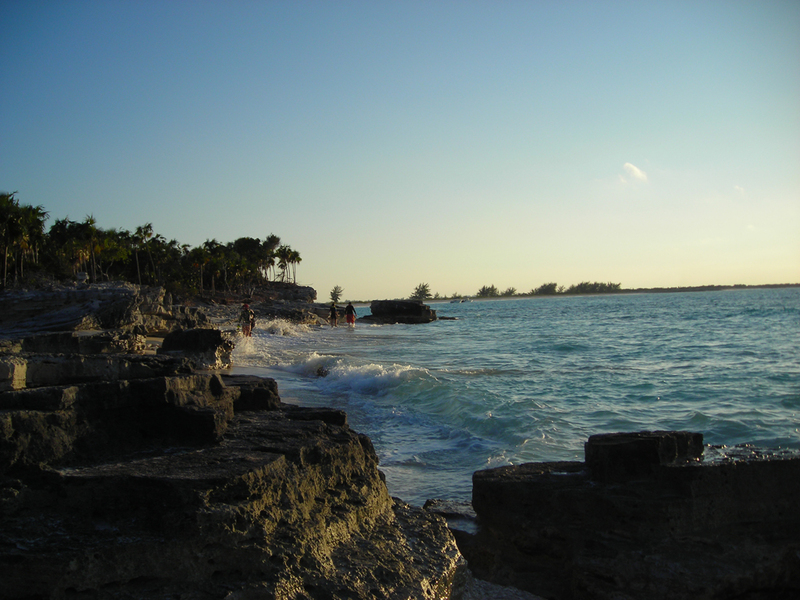 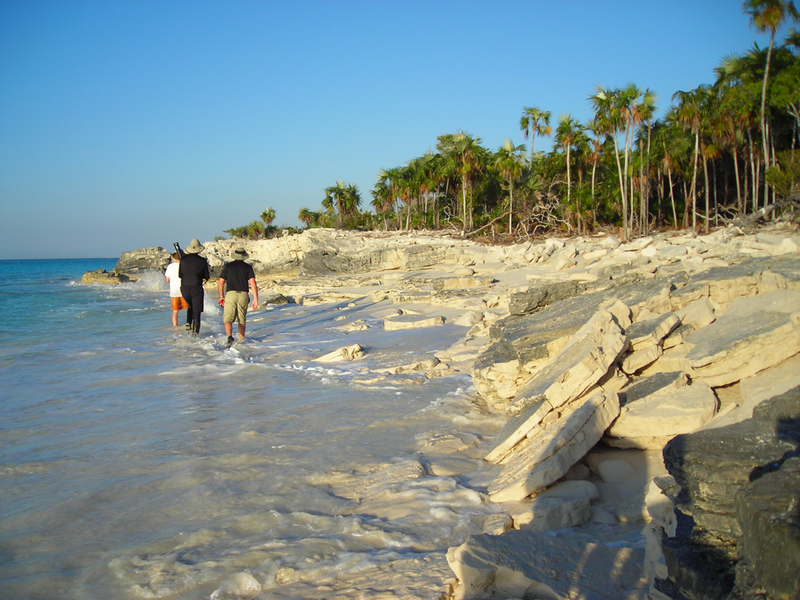 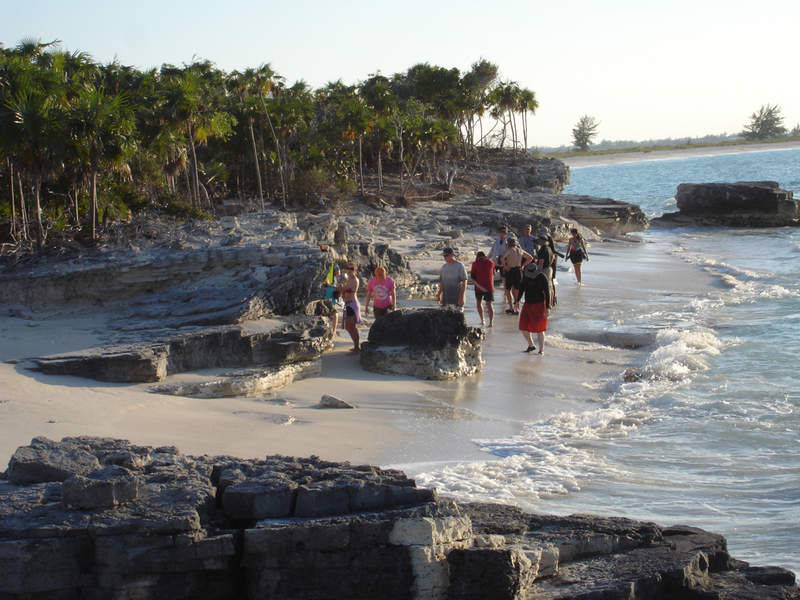 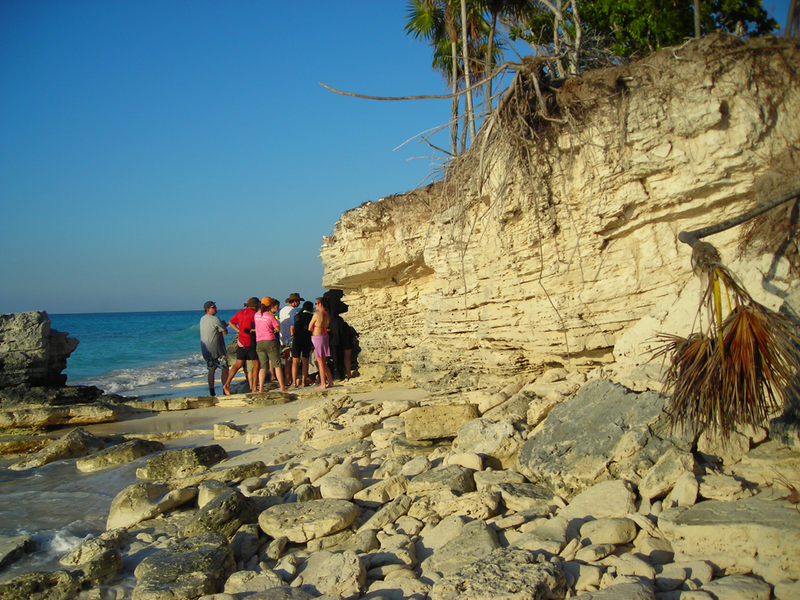 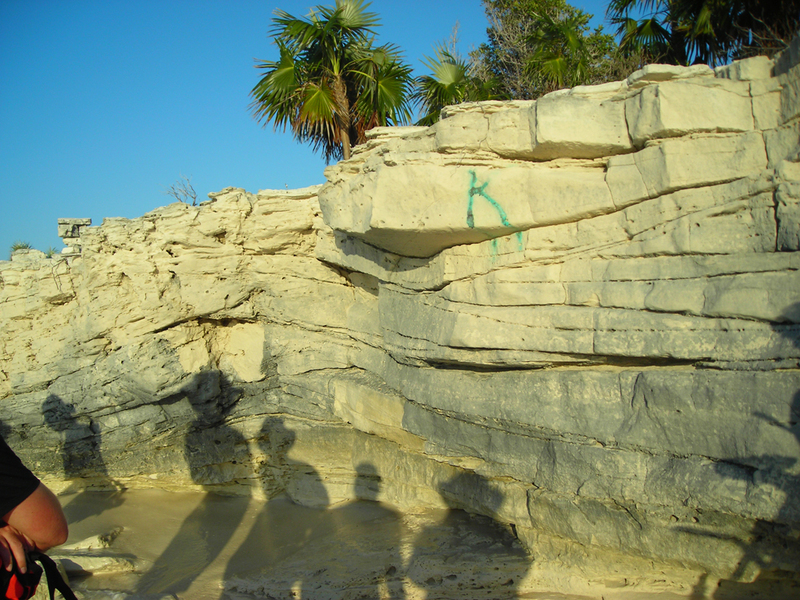 At the leeward-going through washover channel on the northwest end of the island, shore erosion has exposed several individual ridges in cross section. 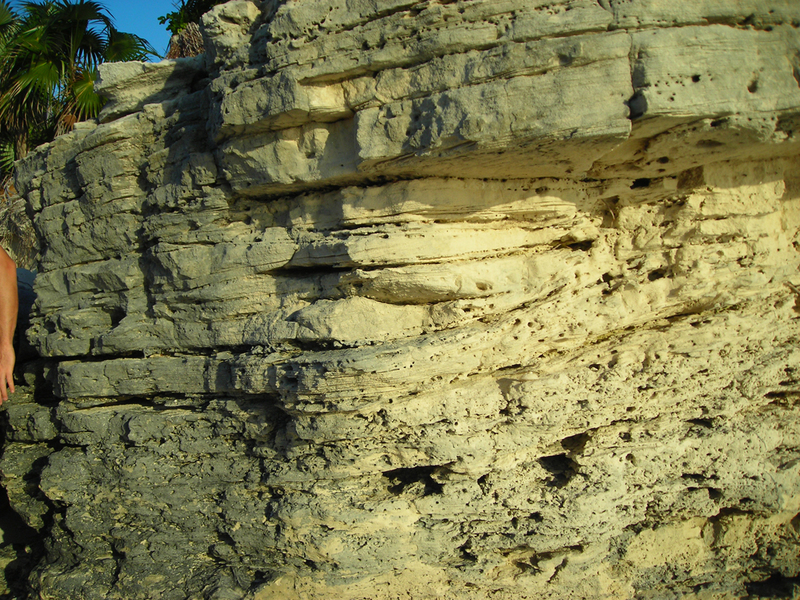 These ridges contain a predominance of low-angle, seaward-dipping strata with minor steeper, platformward-dipping strata. 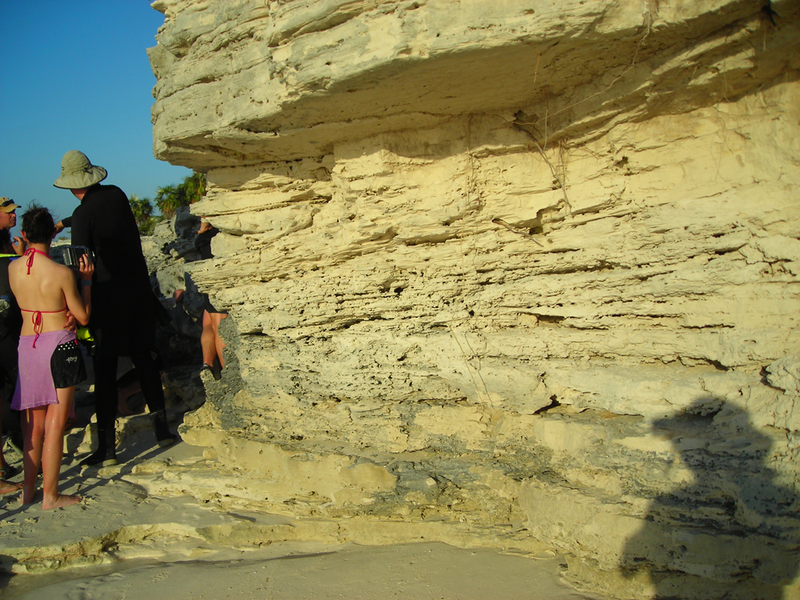 The internal fabric and structure of these Holocene ridges can be examined in detail along section on the northern margin of the island where shore erosion has created excellent outcrops. 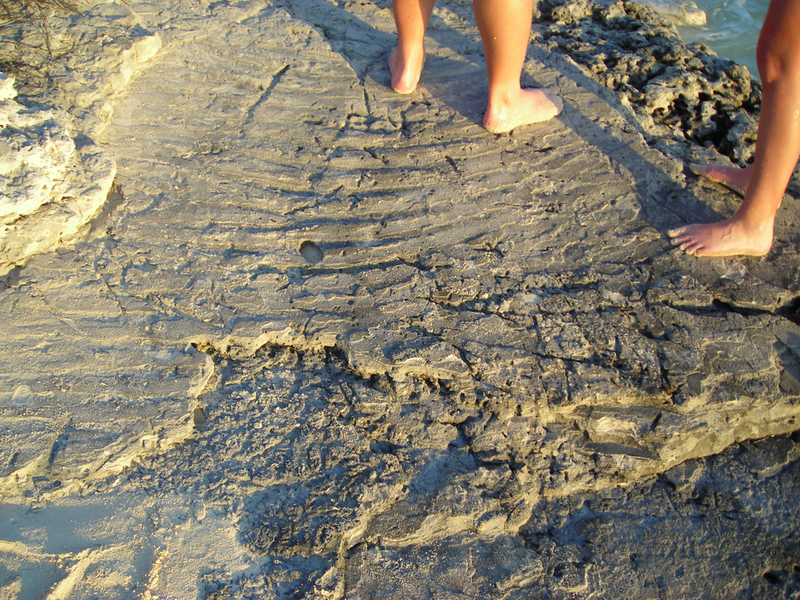 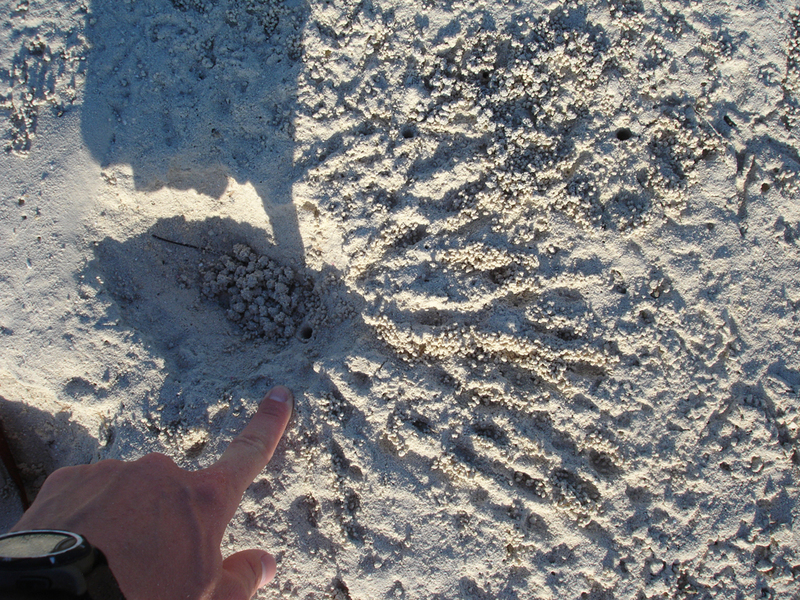 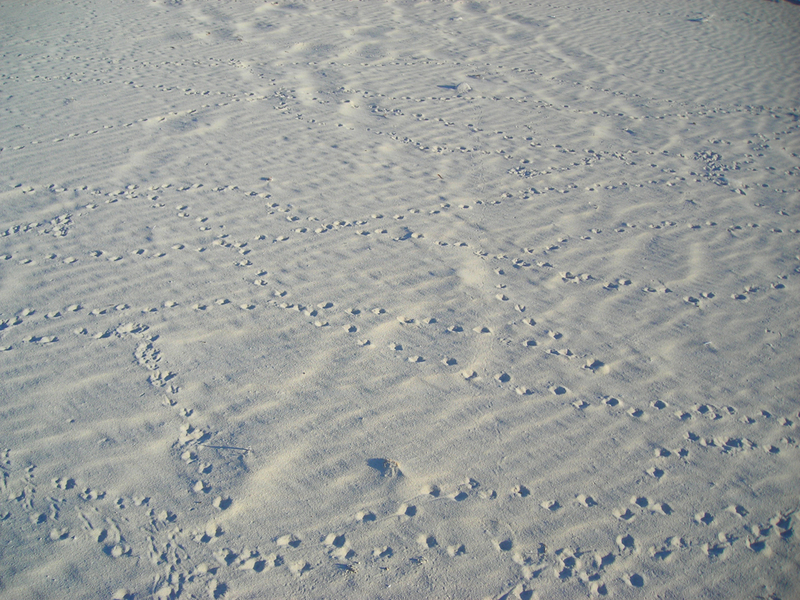 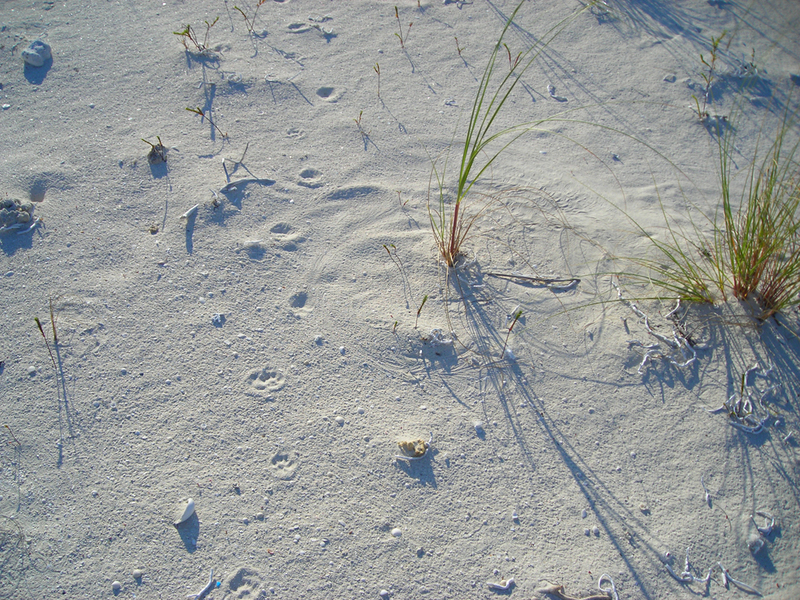 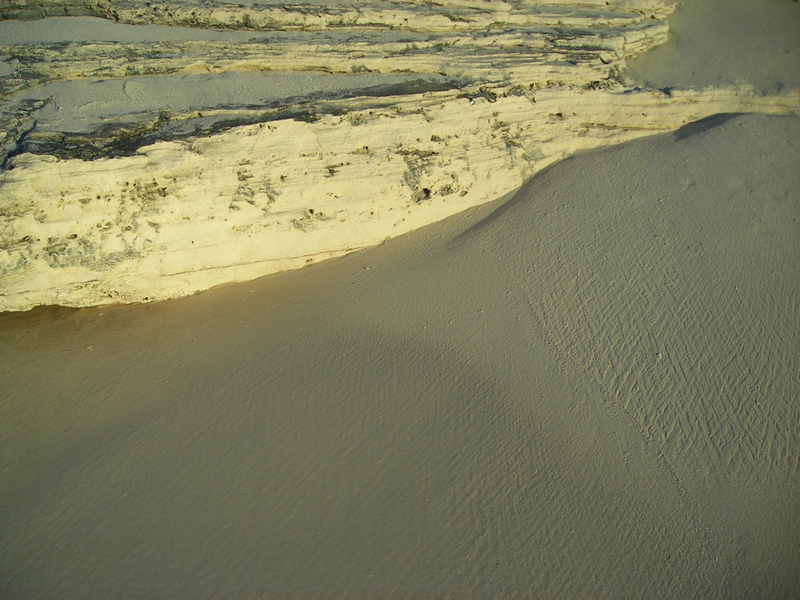 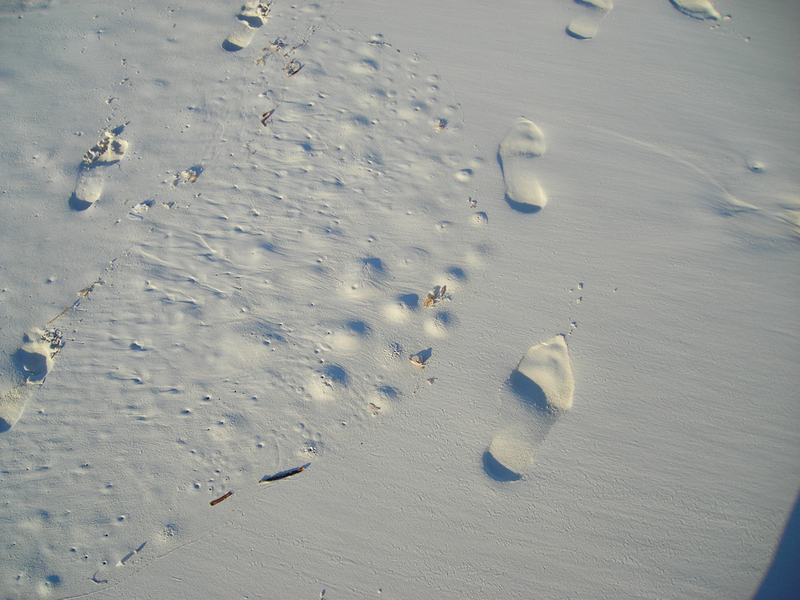 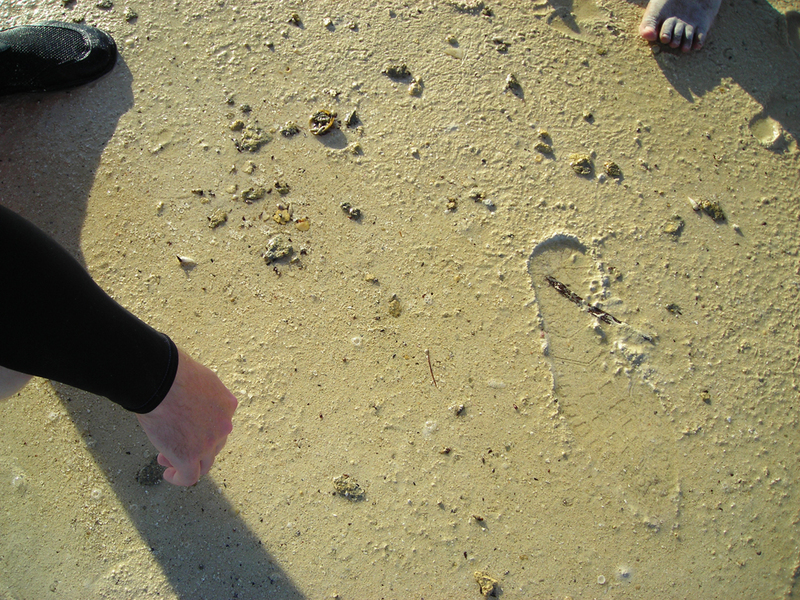 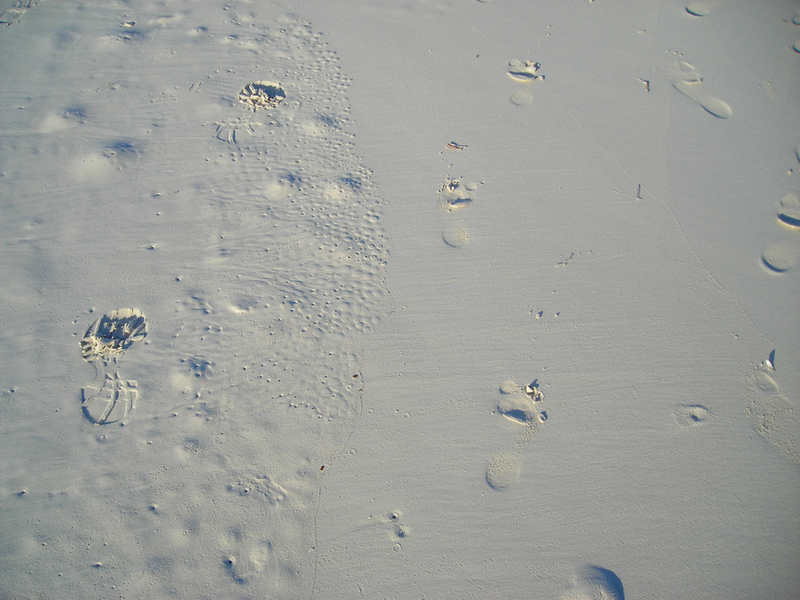 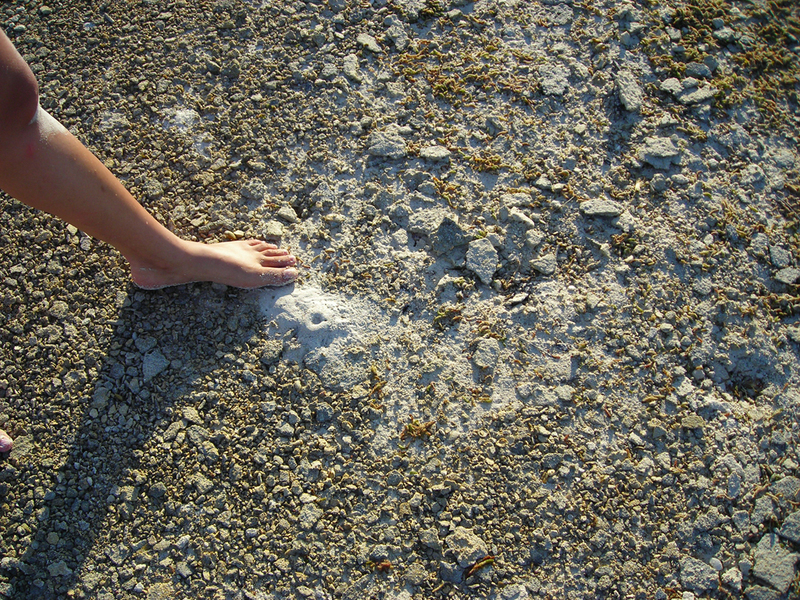 The sediment comprising these beach ridges is a mixture of medium- to coarse-grained, reef-derived skeletal grains and ooids. 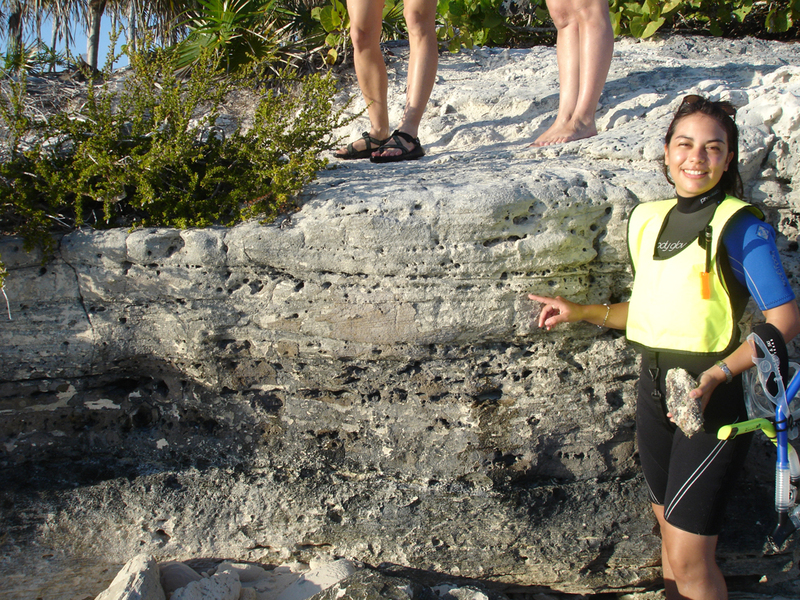 Some low-angle, seawarddipping laminae have keystone fenestrae. 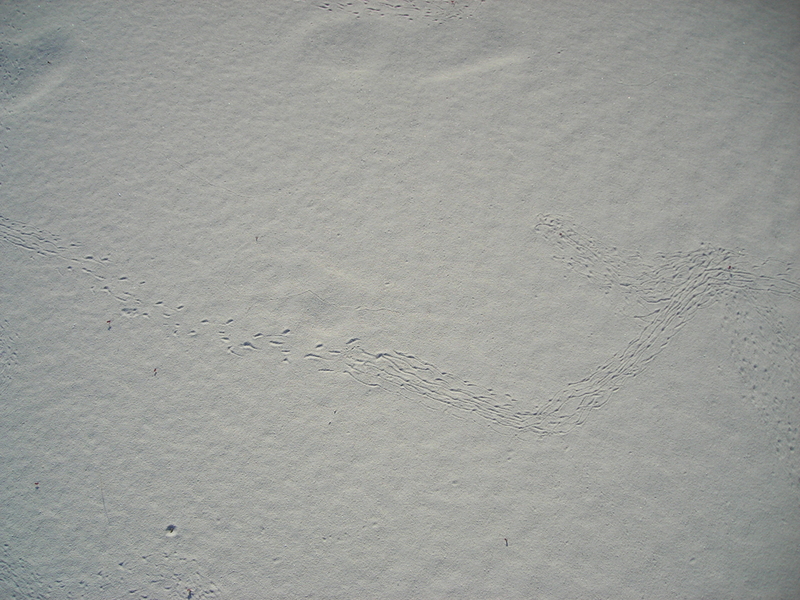 Keystone fenestrae are also found associated with layers in cemented cobbles. 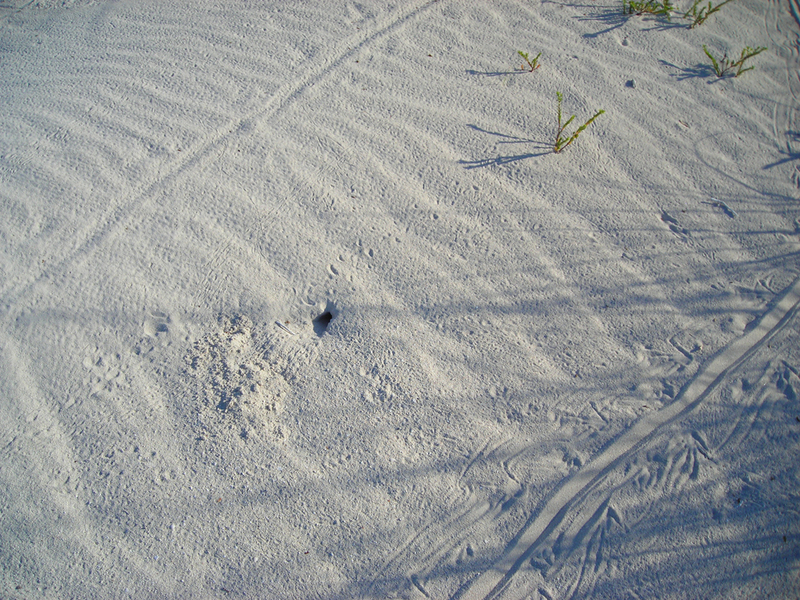 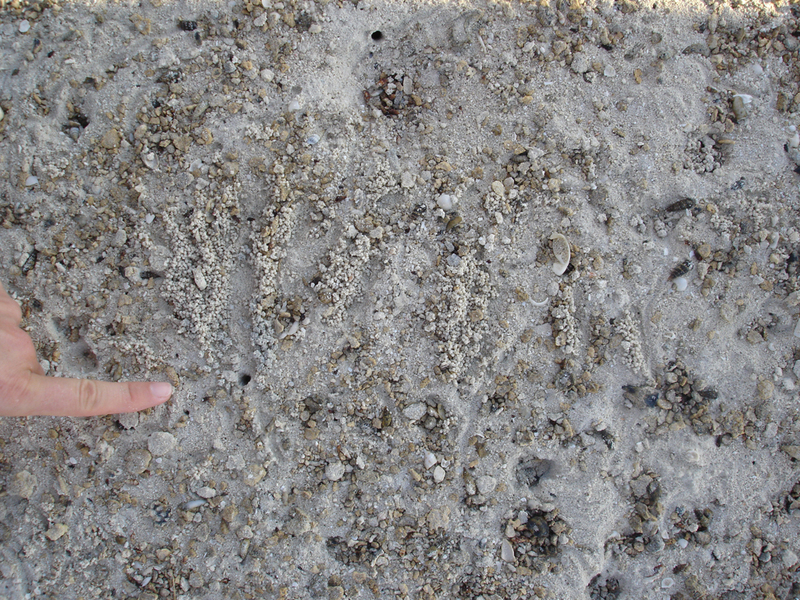 This fabric is conclusive evidence the these deposits are deposited not by wind but by water in the beach and back-beach swash zone. 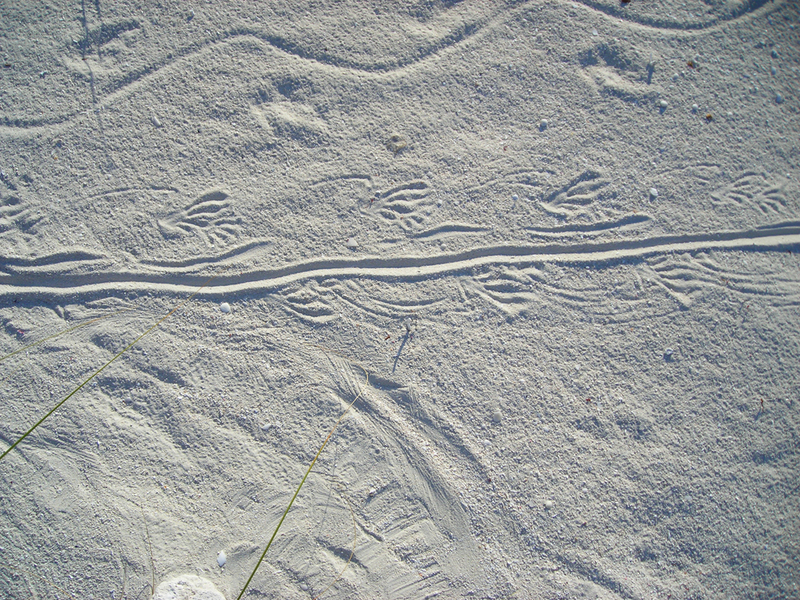 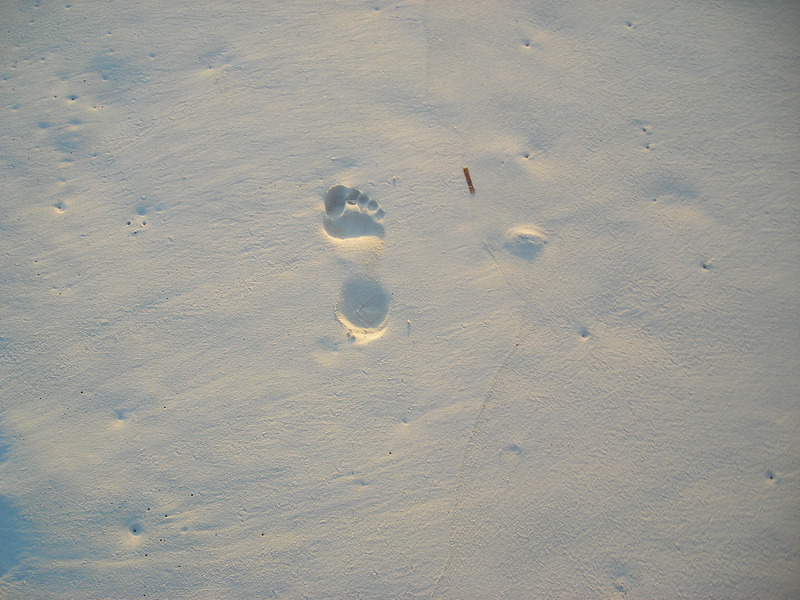 Many of the laminae containing fenestrae can be traced vertically for more than 2 meters, suggesting that the fenestral pores were formed during periods of stronger swells or seas. 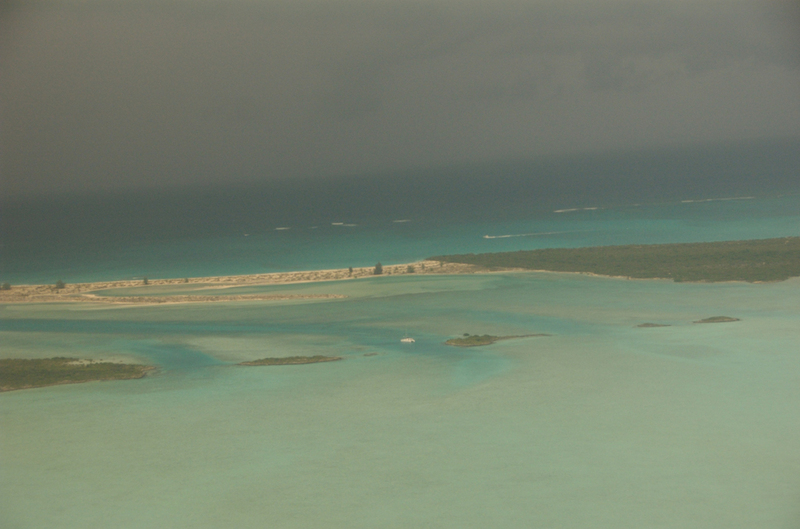 Storm-cut tidal channels disrupt this strandplain complex. 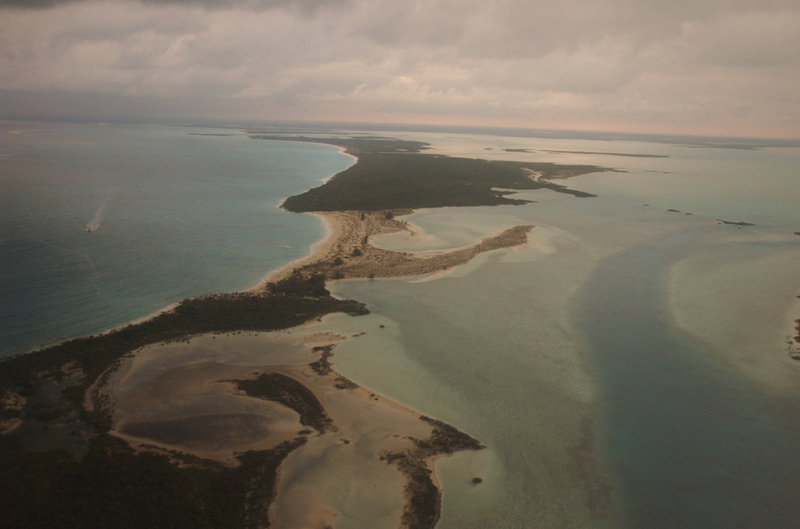 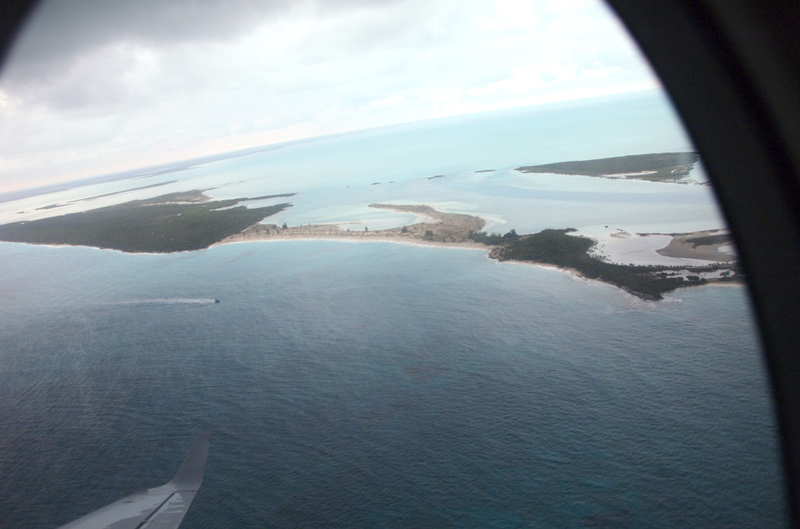 Although Leeward-Going-Through is recorded on maps since the early 1500's, the inlet separating Little Water Cay from Water Cay to the east was cut by Hurricane Donna in 1960 (Fig. 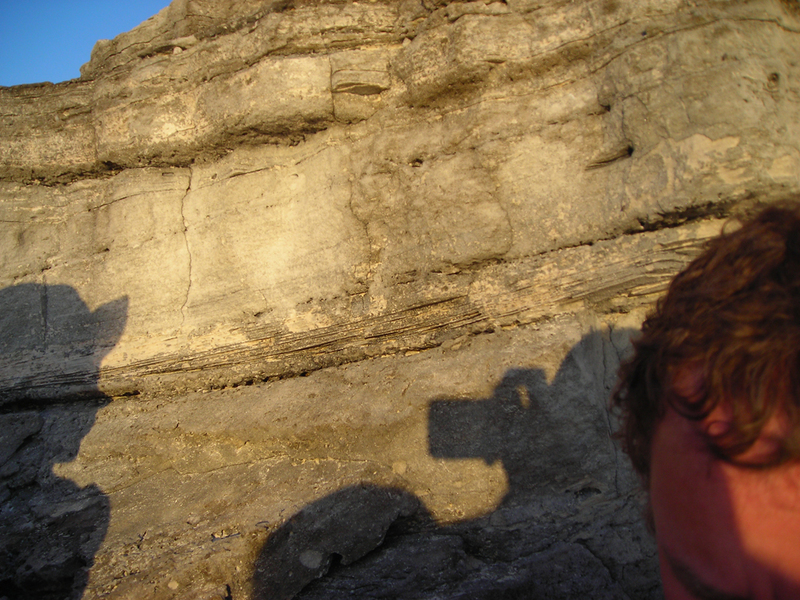 40). 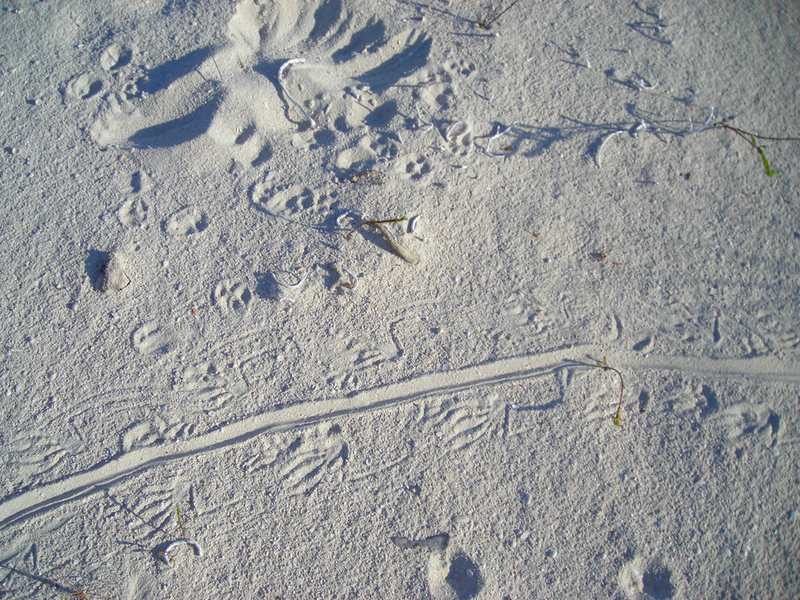 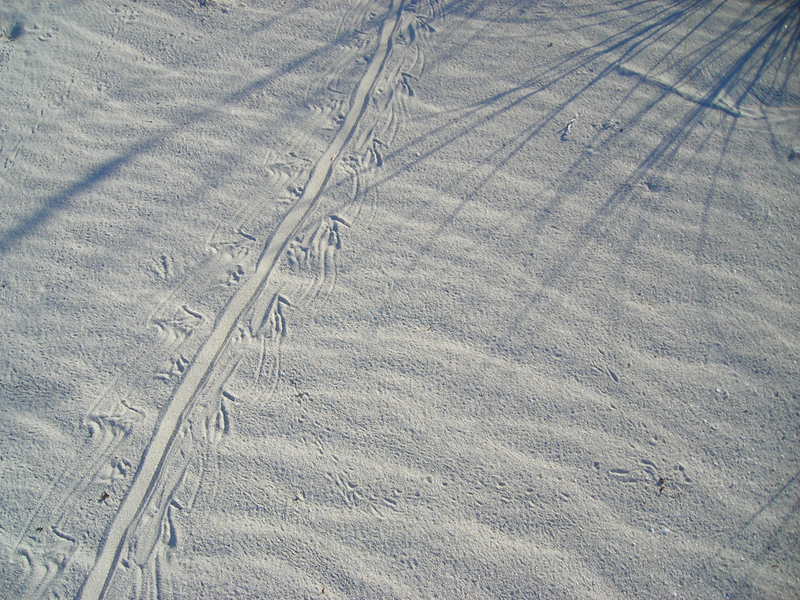 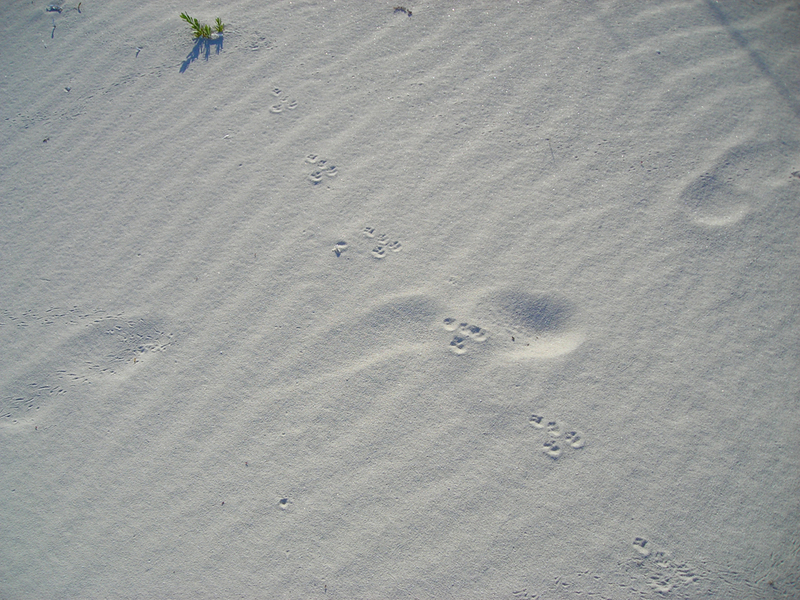 The next channel to the east was closed by Donna.